Letztes Wochenende fand das zweitägige The Horus Heresy Weekender Event von Forge World statt und es gab einiges Neues zu sehen für Horus Heresy, Adeptus Titanicus und Necromunda. Mere weeks after the bombshells dropped at the New Year Open Day, we’re looking forward into the future of the 31st Millennium. 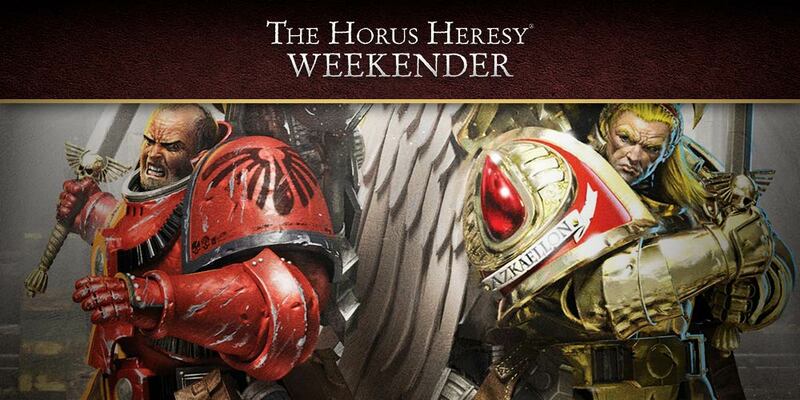 We’re at the Horus Heresy Weekender – a yearly celebration with hundreds of eager fans from around the world – and we’ll be following along with the various preview seminars to catch all the breaking news as it happens. So, even if you’re not at the weekender in person, you’ll be sure to be among the first to know about what’s next for the Horus Heresy. 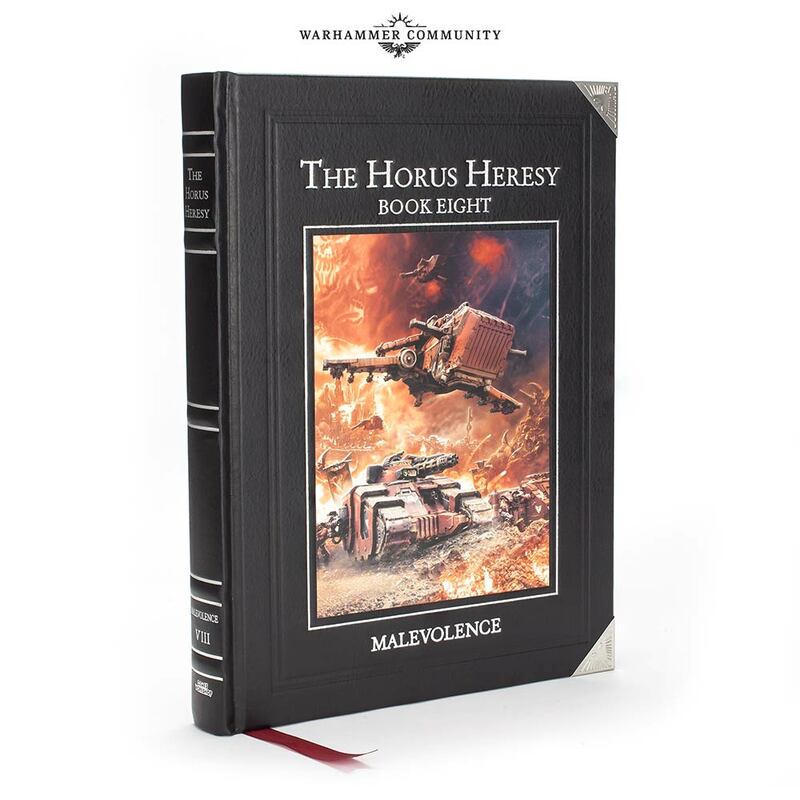 The Horus Heresy: Malevolence Revealed! First things first. We promised you last week that you hadn’t seen all of Sanguinius, and a special edition with an appropriately glorious presentation base was on the way. Well, feast your eyes! 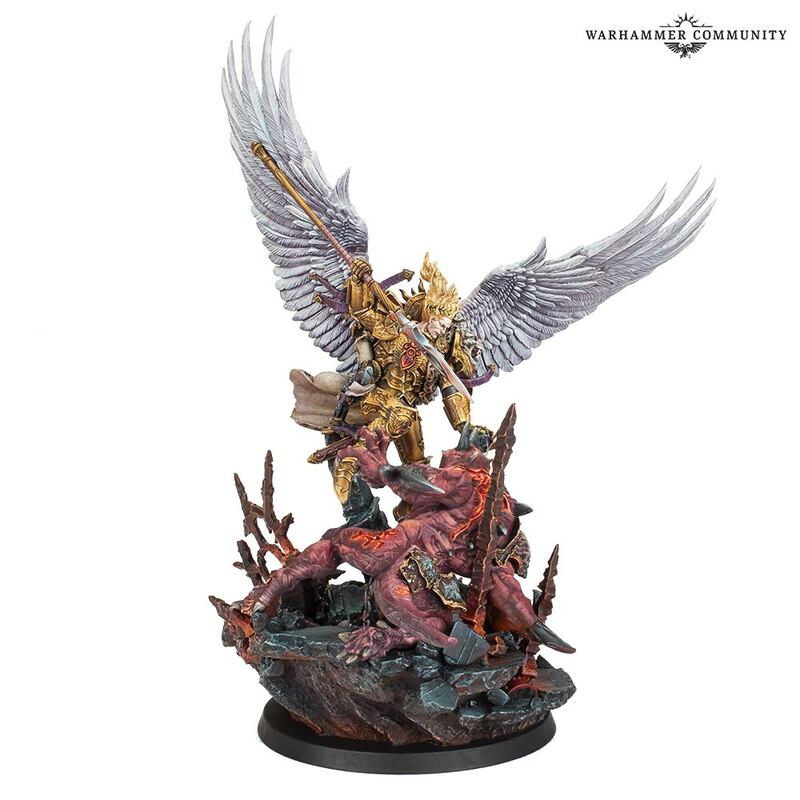 This version of the model mounts Sanguinius upon a stunning display base, triumphant over a fallen Daemon in a scene that looks like something out of a stained glass window in an Imperial cathedral. 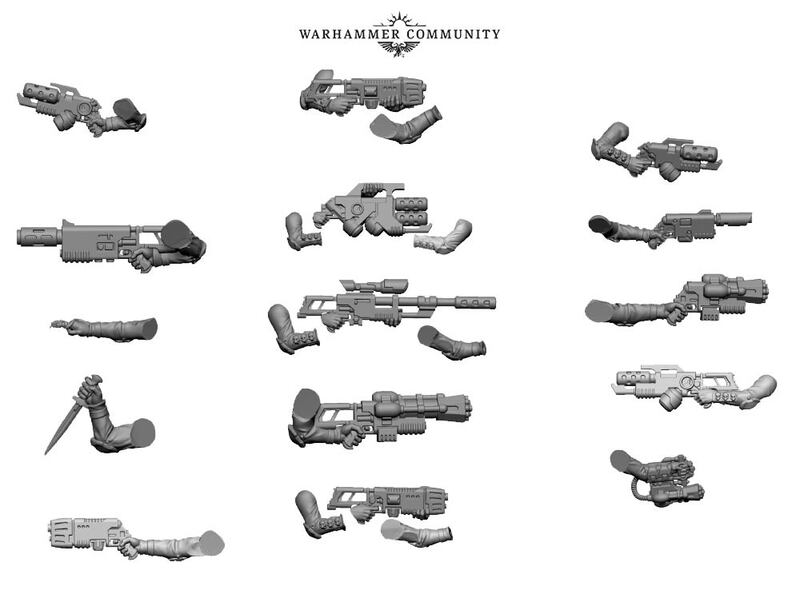 We can also unveil Sanguinius’ second weapon option – the Spear of Telesto! 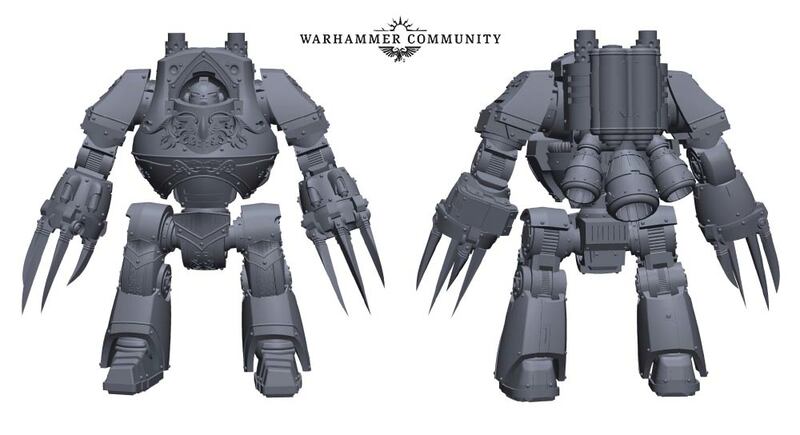 This will come packed with the standard and special versions of the kit, allowing you more choice as to how you arm Sanguinius for yourself. 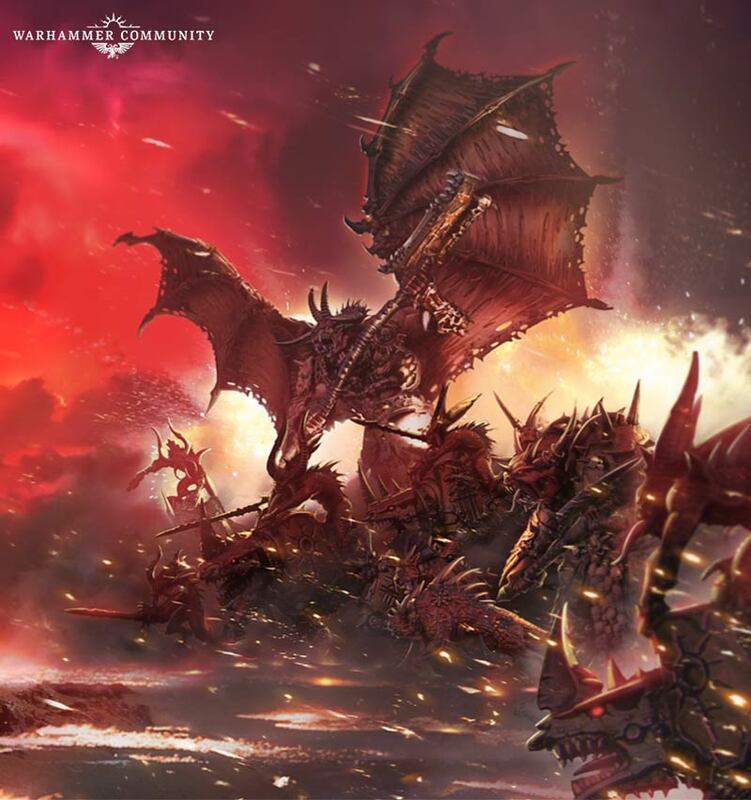 Rules for Sanguinius will be found in Malevolence – a thrilling new entry in the Horus Heresy campaign series that brings rules and lore for a number of fan-favourite characters and Legions. This hotly anticipated tome takes you back into the dark world of the Horus Heresy, bringing the Blood Angels and White Scars into the fray as well as a sinister host of Traitors for them to battle. Each of our Horus Heresy books so far has focused on specific factions in this way, bringing them to life with in-depth rules, lore and heraldry that allow you to imagine, collect and play with more diverse armies than ever before. Expect to see new champions, abilities, and unique units that truly reflect the martial character of these Legions. 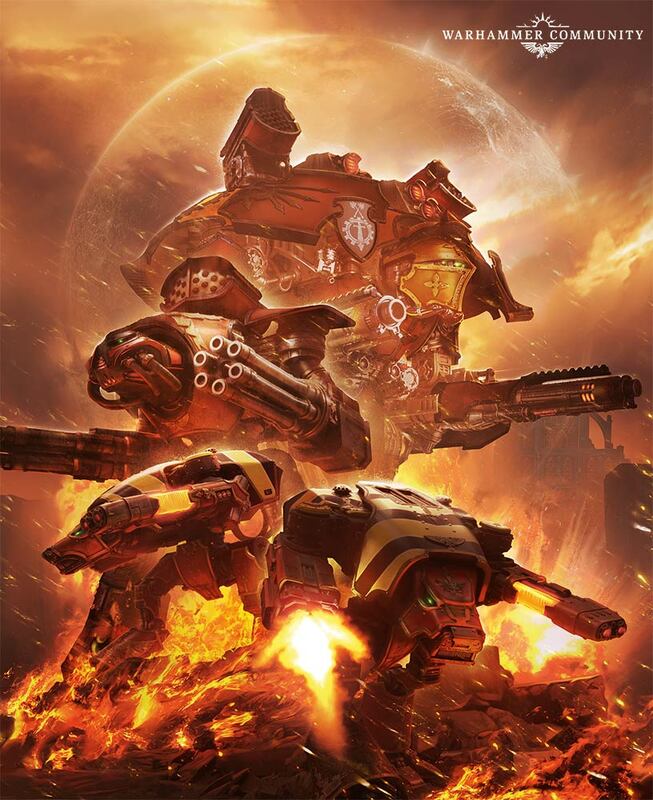 Malevolence would be huge if it was just about the Space Marine Legions – but it also sees Daemons enter the fray in full for the first time. We’re talking full-scale incursions – tides of hellspawn pouring forth from open wounds in reality. 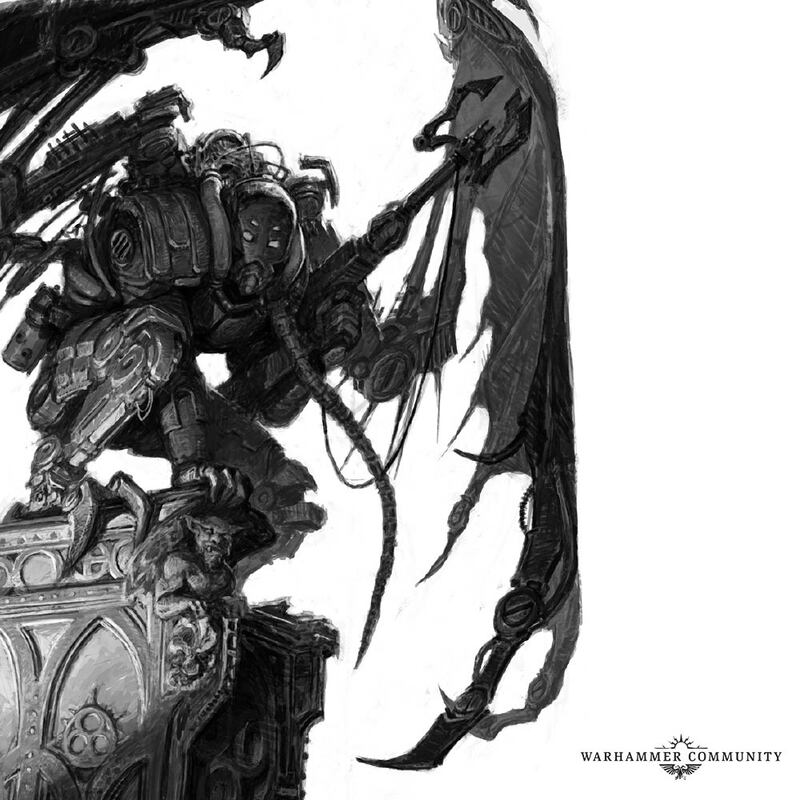 On the tabletop, this means a full army list that lets you bring daemonic forces to the Horus Heresy – so if you’ve got a Daemon collection, you can now use them in three major games systems! Not bad, eh? Keep an eye out for these guys, as they’ll be available to order online pretty soon! We’re not done with Battles in the Age of Darkness reveals just yet! 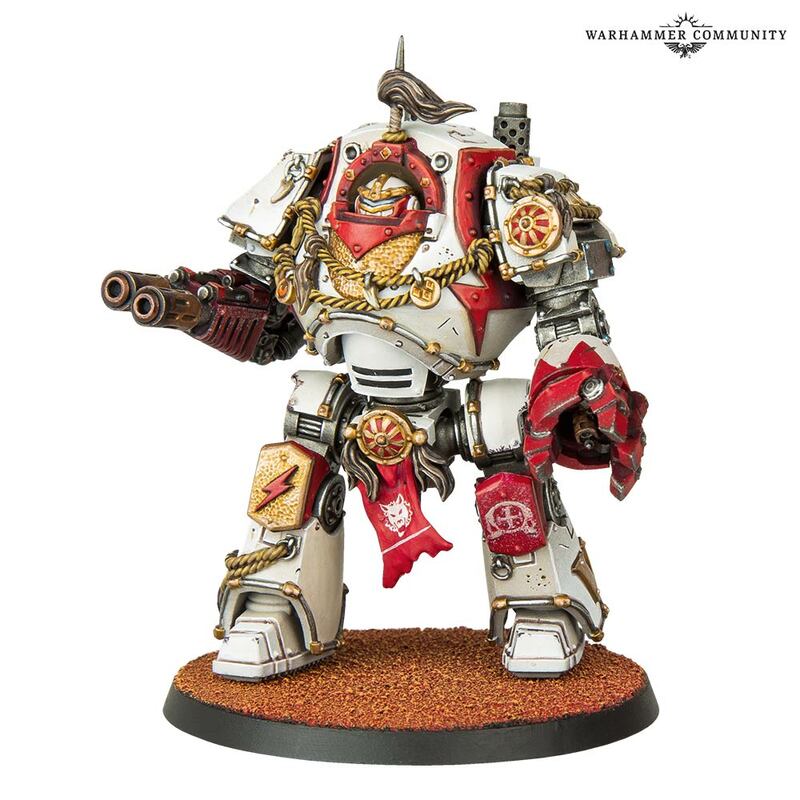 We’ve just got a glimpse at some new White Scars models that’ll be coming out ahead of Malevolence – and they really are stunning. 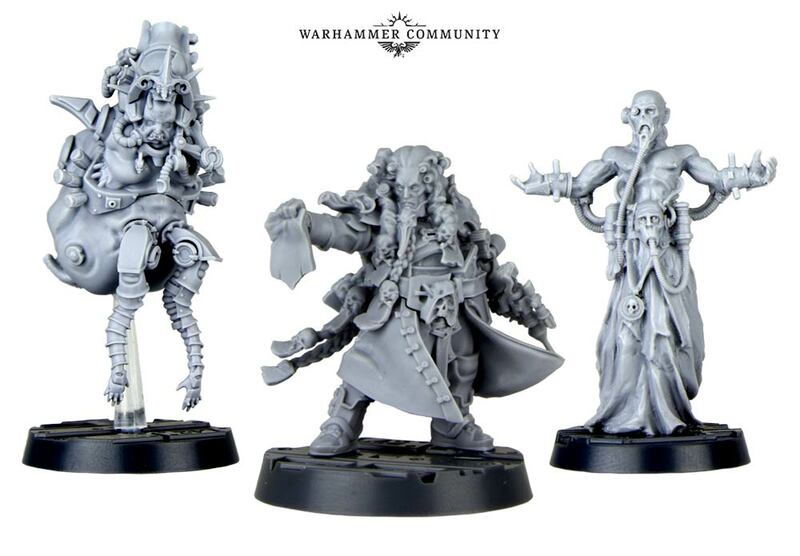 First up, we’ve got two Praetors. 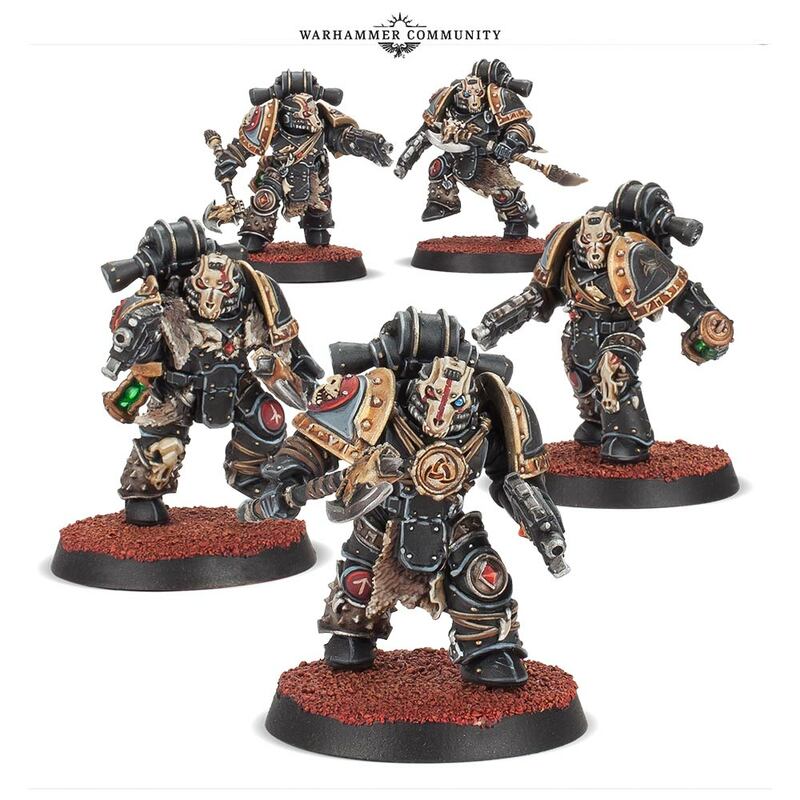 Replete with a wealth of Legion-specific detail including furs, runes and barding, these models perfectly capture the unique character of their Legion. 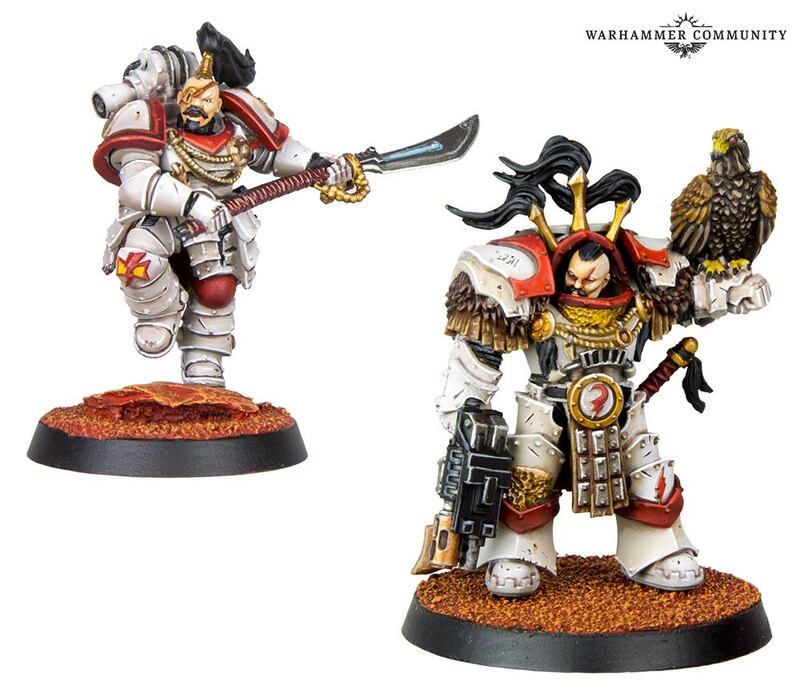 If you’re looking for a leader for your White Scars, you can’t go wrong with either of these guys! There’s more! 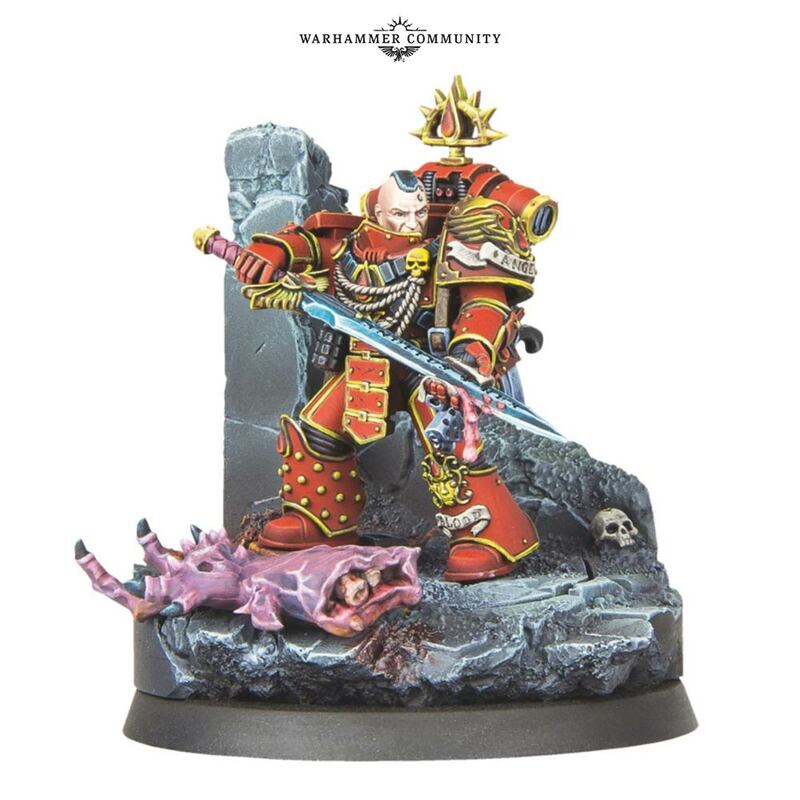 We’ve also had our first look at Raldoron – a legendary hero of the Blood Angels who would go on to lead the Legion following the death of Sanguinius as its first-ever Chapter Master. 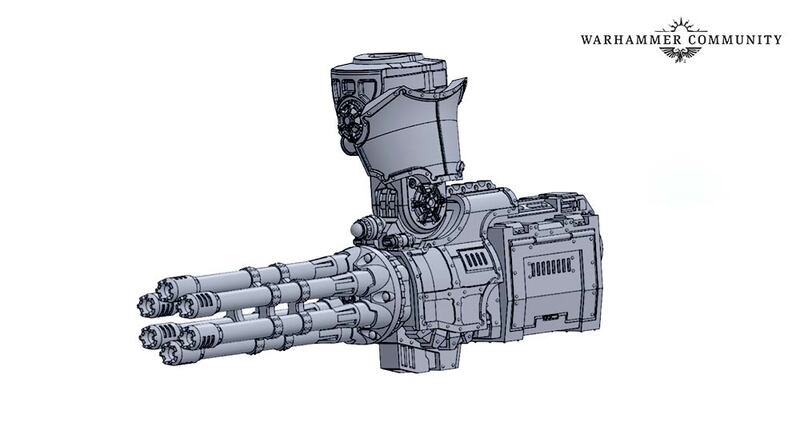 Of course, characters are a key part of the Horus Heresy, but so are terrifyingly huge war machines! 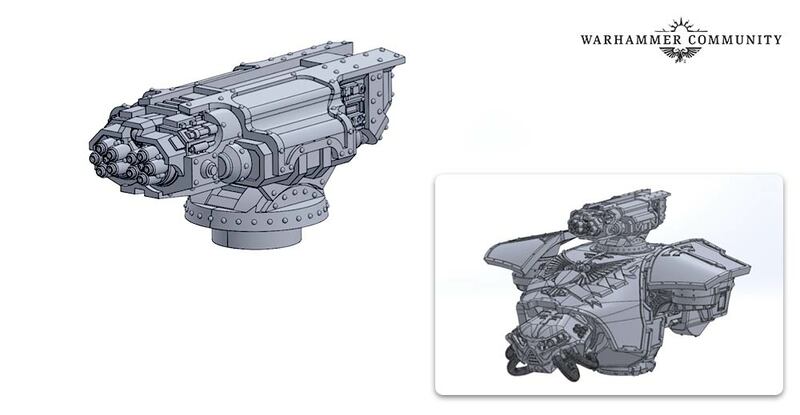 Fans looking for those won’t be disappointed, with our first peek at the real, painted versions of two massive new engines of destruction. 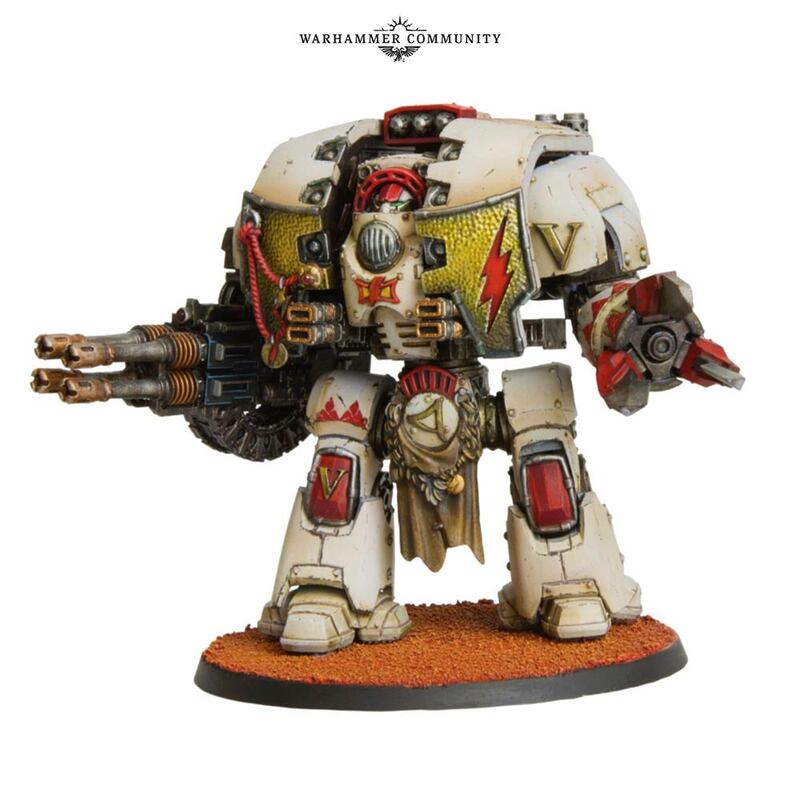 Meet the Mechanicum Acastus Knight Asterius and the Mechanicum Ordinatus Aktaeus. Fans at the Horus Heresy Weekender have been lucky enough to catch the latest discussions on the story of the setting, with a number of Black Library luminaries in attendance looking ahead to the Siege of Terra. 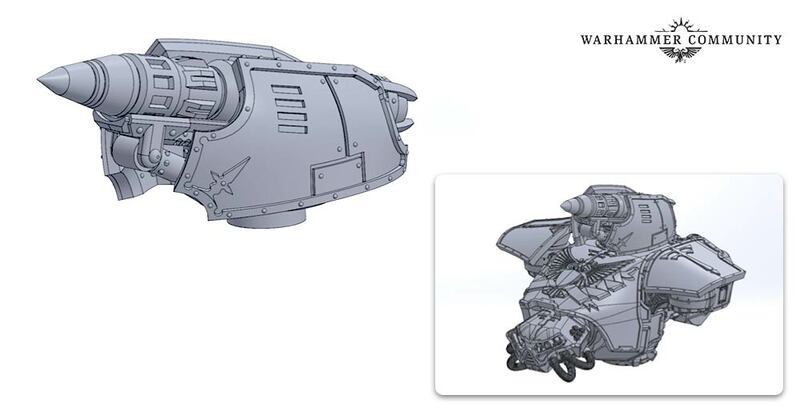 We’ve heard more about the Buried Dagger – the final book in the Horus Heresy series and the first step on the road to the Siege of Terra. 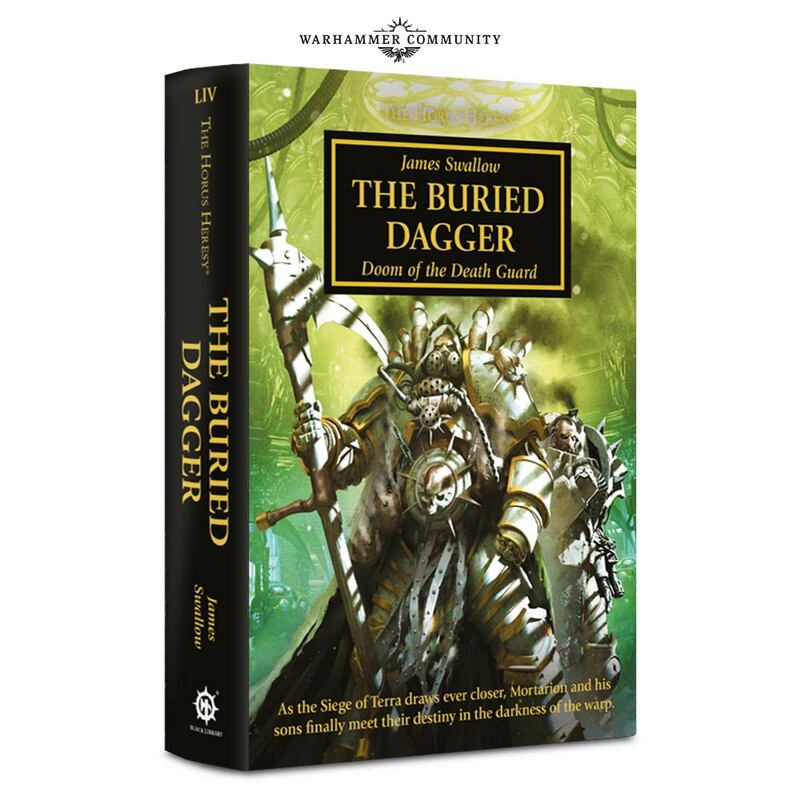 Following the doom of the Death Guard, this tale will finally explore a moment which has been pivotal in the lore for decades – when Mortarion’s once-proud sons lost themselves to disease, madness and damnation. 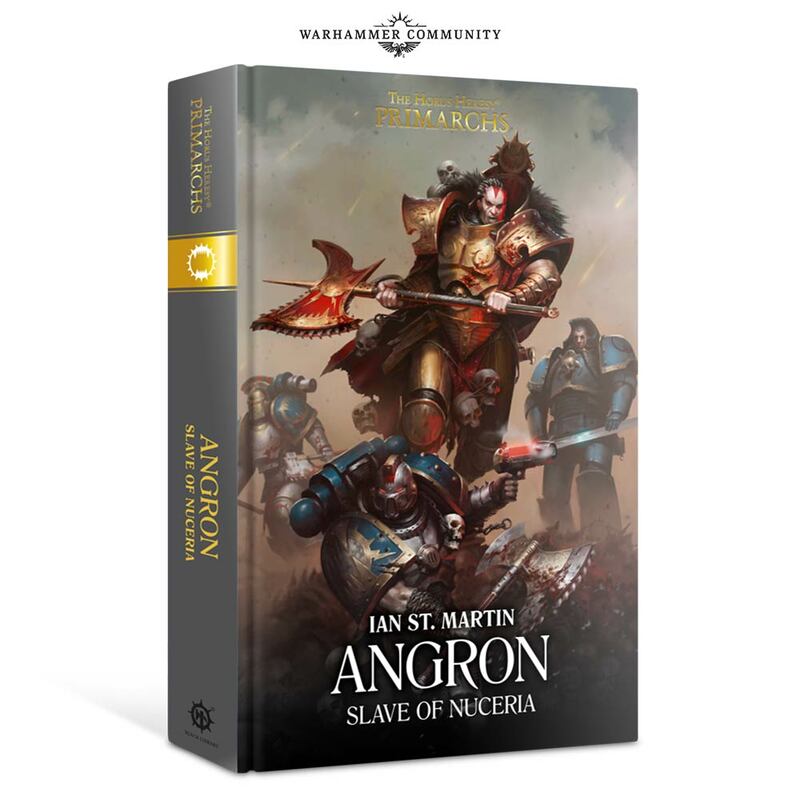 We also got a look at some new covers for upcoming books, including the standard edition of Angron, the latest in the Primarchs series and the cover of the latest edition of Visions of Heresy. 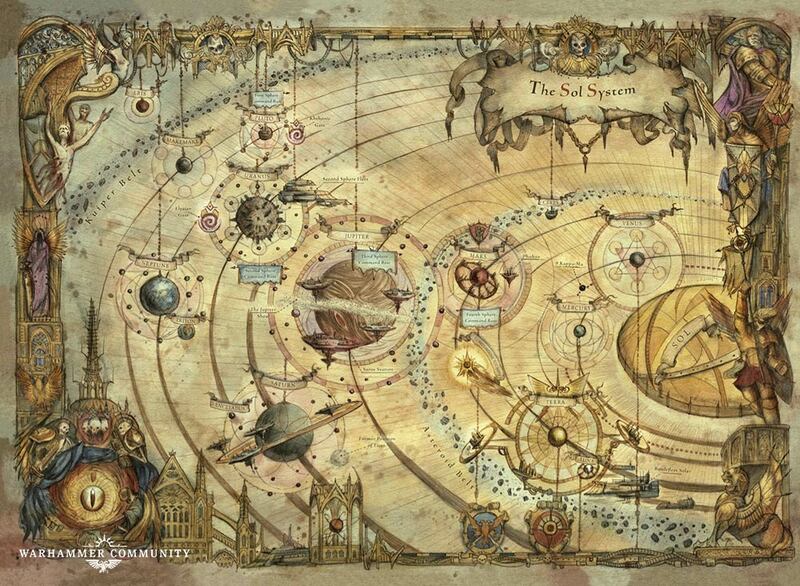 As we look ahead to the Siege itself, we got a look at the new map of the Sol system. Showing in vivid detail the defences of the Imperium as the traitors approach, this map will be featured in each Siege of Terra book, and will evolve to show the devastating impact of the Warmaster’s assault. One of the thrills of Adeptus Titanicus is the sheer scale, with models dwarfing the buildings around them. 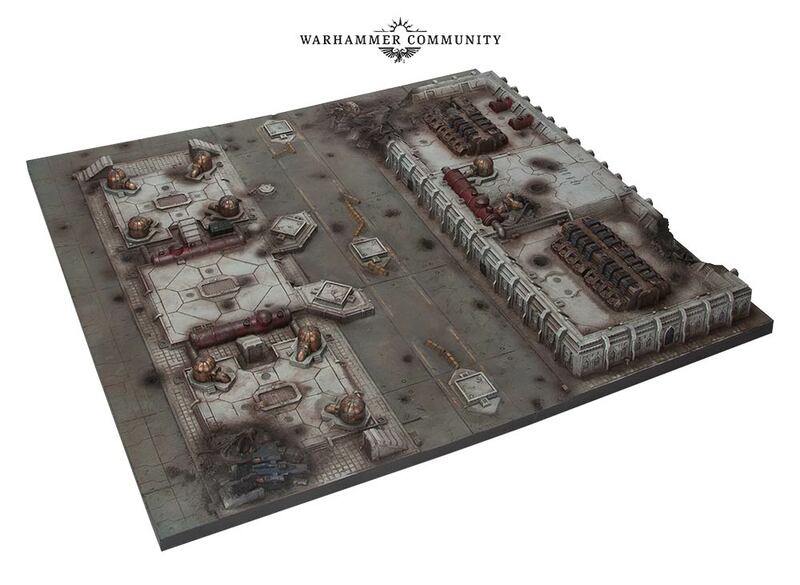 With the right board, Adeptus Titanicus has a grand, cinematic sweep – which is why we’re releasing two more resin tiles that’ll make creating your own dystopian cityscapes simpler than ever. 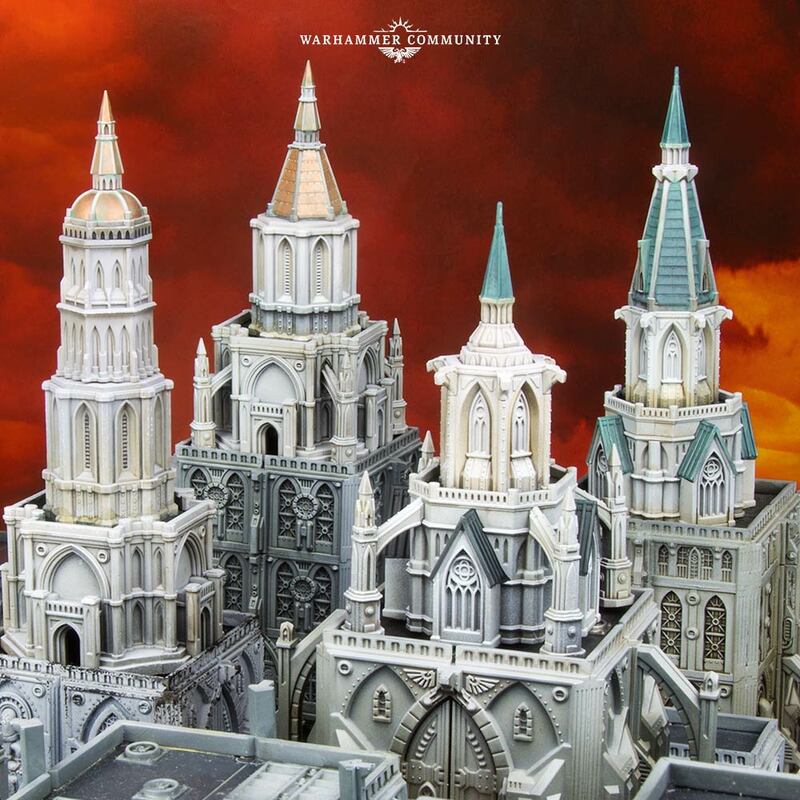 What’s more, a standalone set of plastic spires can be combined with the Sector Imperialis kits or used alone to add a distinctly gothic vernacular to your terrain and create the striking, baroque skylines you know and love from the world of the 31st and 41st Millennia. 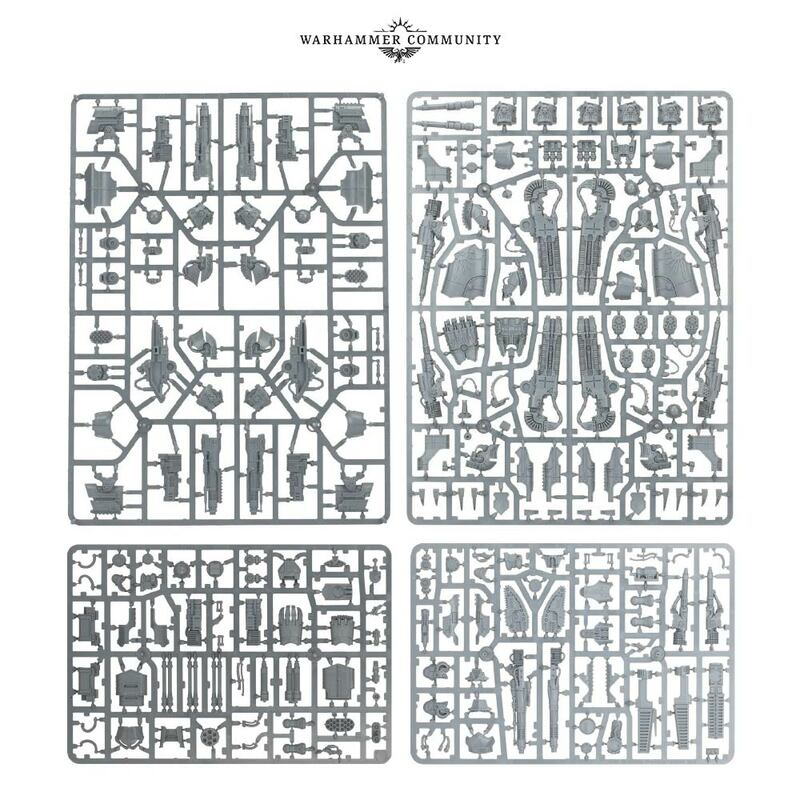 Don’t worry if you’ve already built a bunch of Sector Imperialis buildings – these spires are highly modular and can be added to and removed from your chosen structures with ease. 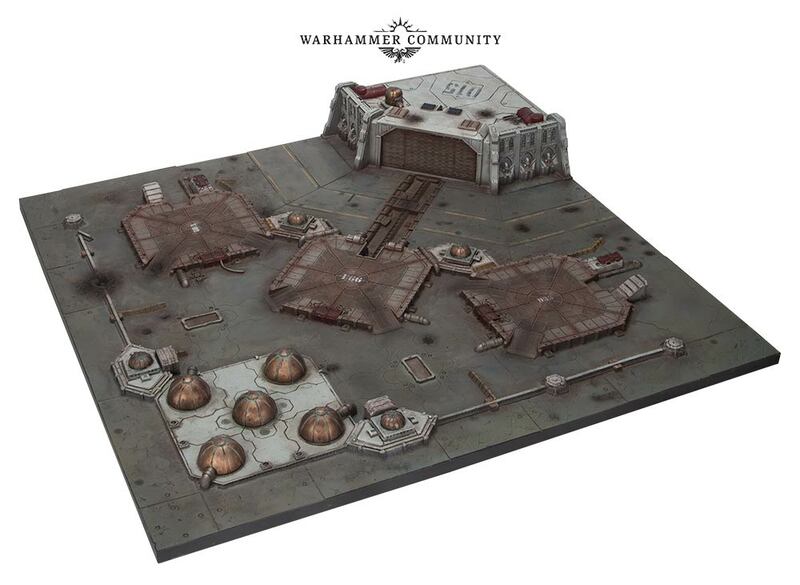 Of course, buildings and terrain are just a small part of what’s on the way for Adeptus Titanicus. 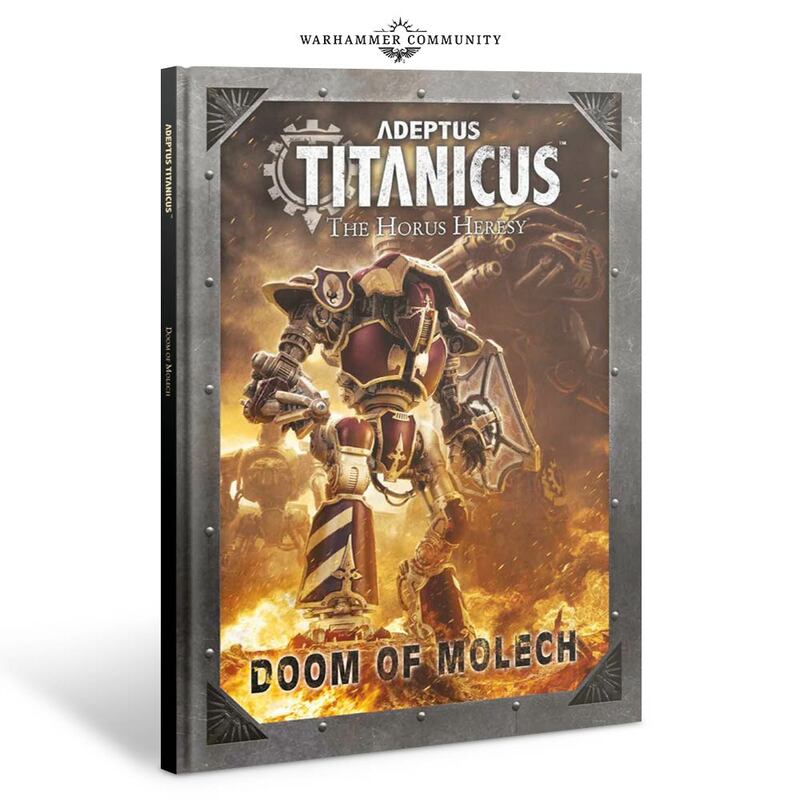 We’re incredibly excited to reveal the sequel to Titandeath and the next in the Adeptus Titanicus supplement series – the Doom of Molech. 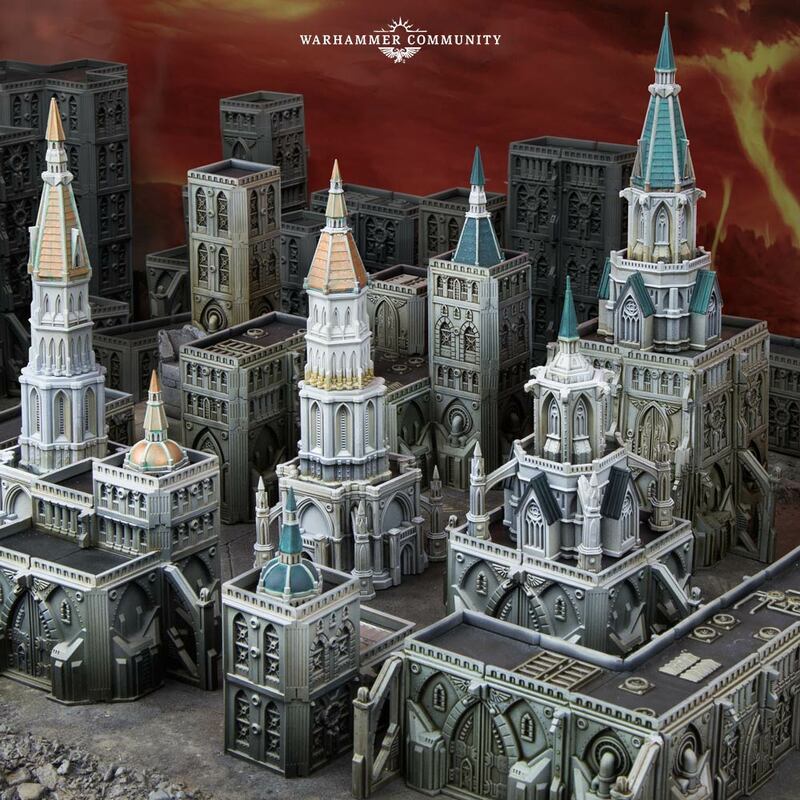 The Doom of Molech allows you to experience war in the Horus Heresy on a new scale. This has always been a huge chapter for the Age of Darkness – a war that would dwarf even the earth-shattering conflict between the Legions that came before it, as Titans, Knight households and more joined Horus’s rebellion. 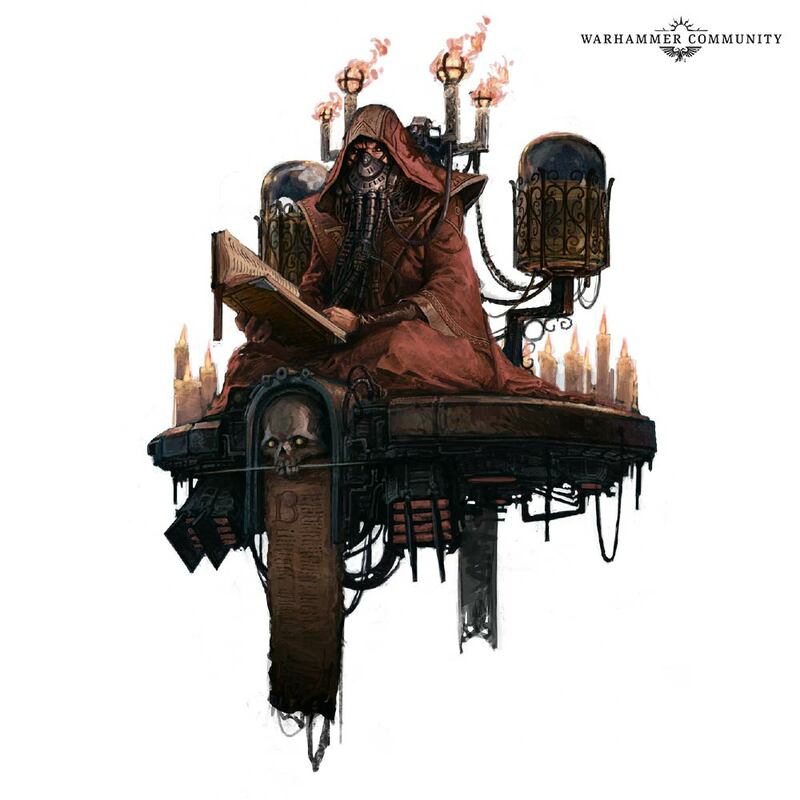 The Doom of Molech campaign book allows you to fight these battles for yourself, with lore and campaigns that bring the conflicts explored in Black Library’s Vengeful Spirit to life in sumptuous detail. 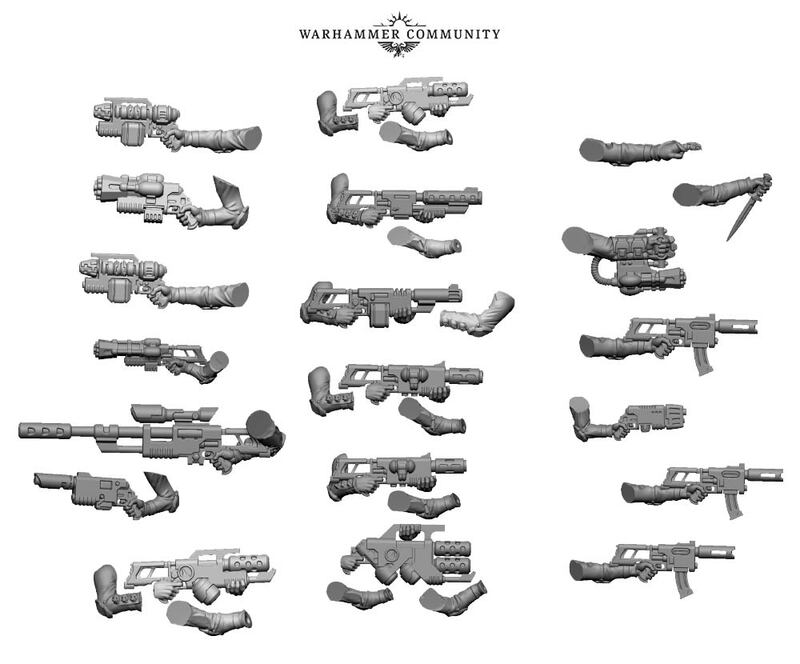 Meanwhile, rules for a variety of Titan Legions offer you even more tactical choice. 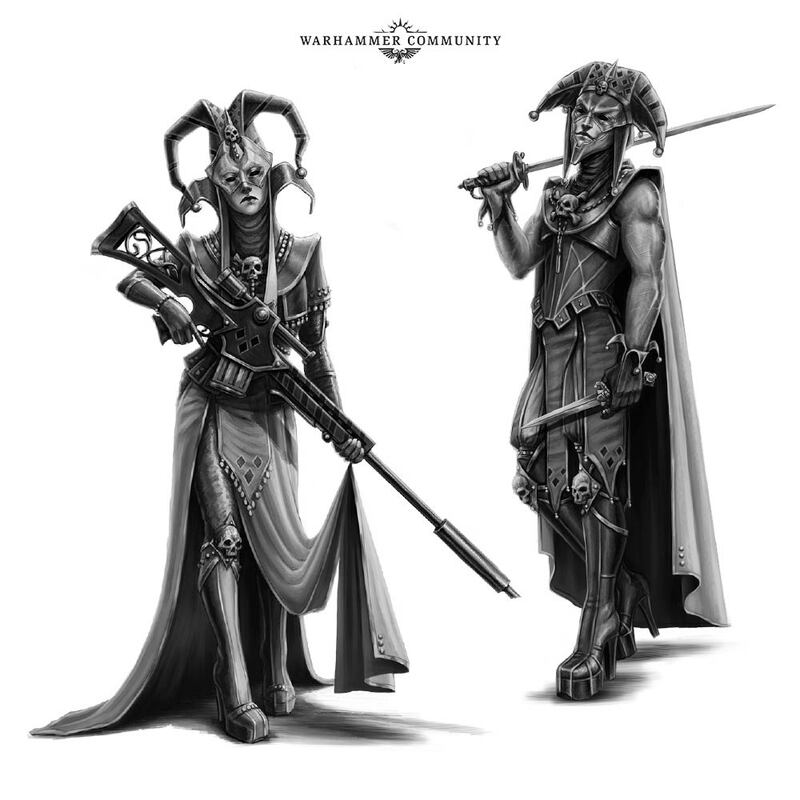 There’s even the option to field an entire army of nothing but Knights for maximum gallantry – particularly fitting, as Molech was where the most infamous of Traitor Knight Houses, Devine, would reveal the depths of their perfidy and turn upon their allies. After that – well, we don’t want to give everything away! 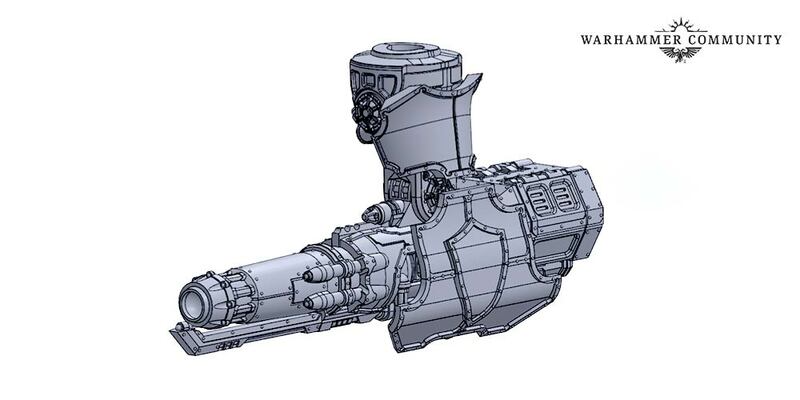 At this point, we can confirm that even more narrative-focused rulebooks like Titandeath and The Doom of Molech are on the way, as well as rules for even more Titan Legions, a growing range of plastic Knights, Titans and terrain, and a host of resin kits from Forge World to round it out. 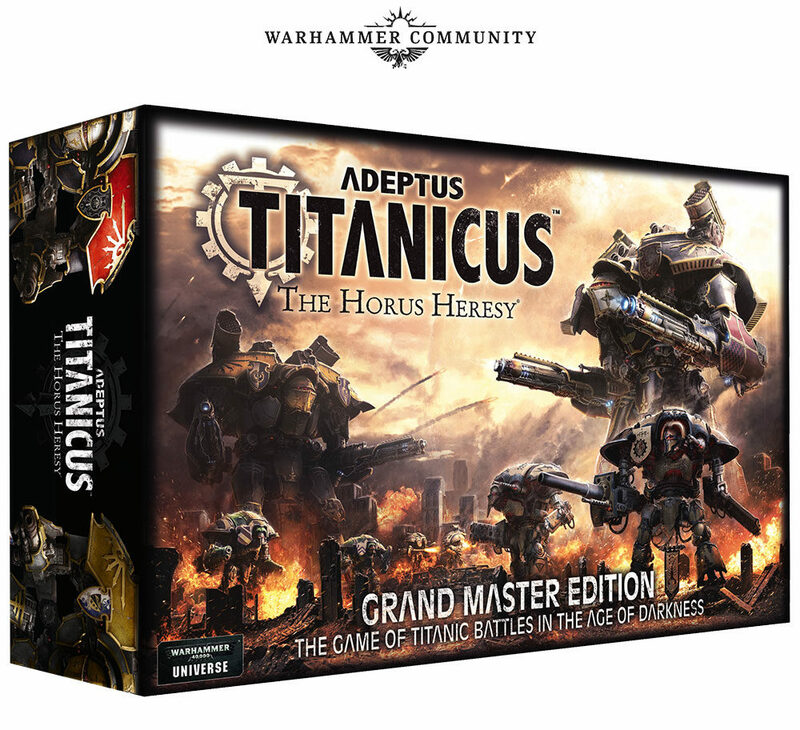 It’s a great time to get started – which is why we’re happy to announce that, after overwhelming popular demand, the Adeptus Titanicus Warlord Edition is coming back for a second run – giving you a great way to get started. 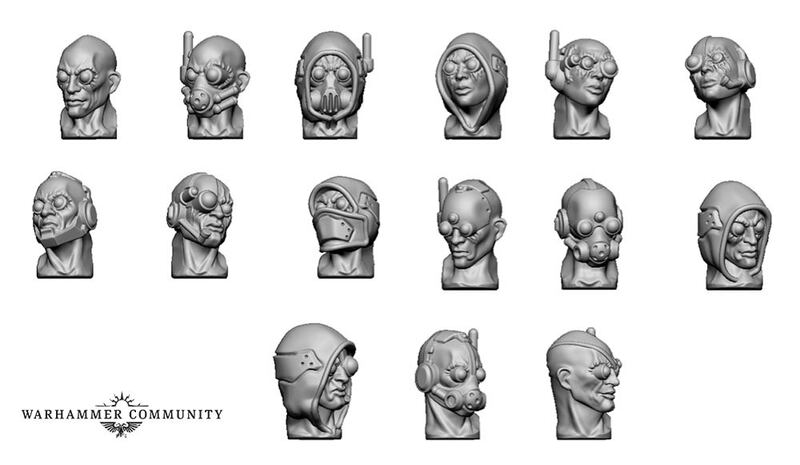 First up, in the short run, you can look forward to even more Bounty Hunters to add to your gang. 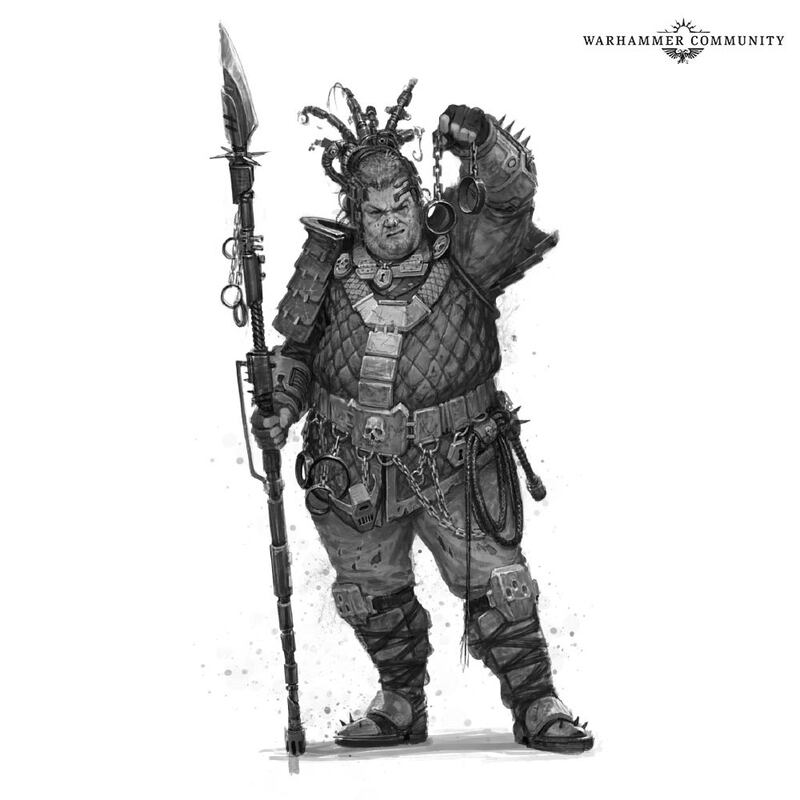 Deadly Guild mercenary Baertrum Arturos III brings a touch of class and refinement (and some deadly tech!) to your battles, while Ortruum 8-8 and Thaetos are powerful (and grotesque) Wyrds, capable of flaying opponents alive with deadly warpcraft. 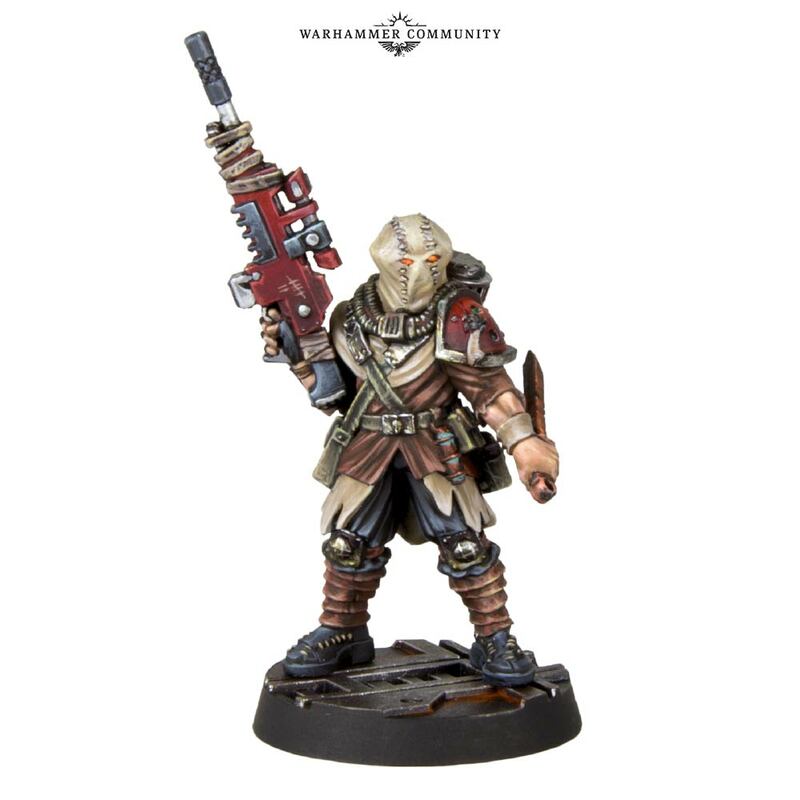 Delaque Gangs can also look forward to a number of new upgrade sets that’ll expand the arsenal of these insidious infiltrators – as well as giving them a stylish range of heads to choose from. 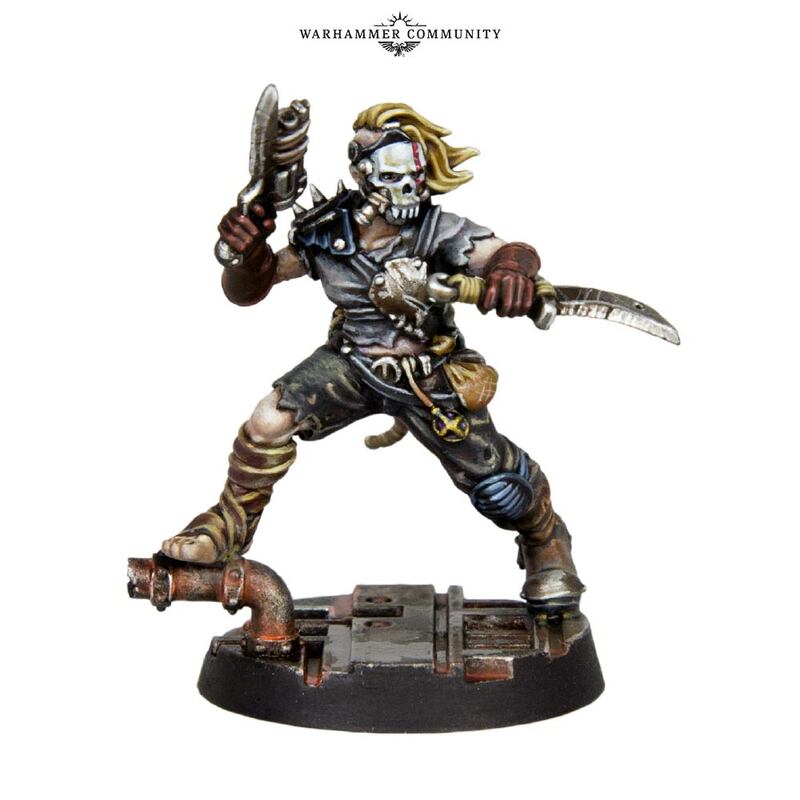 Regardless of which gang you collect, Bounty Hunters Yar Umbra and the Deserter will be a great addition to your roster – as well as characterful models to collect and paint in their own right. 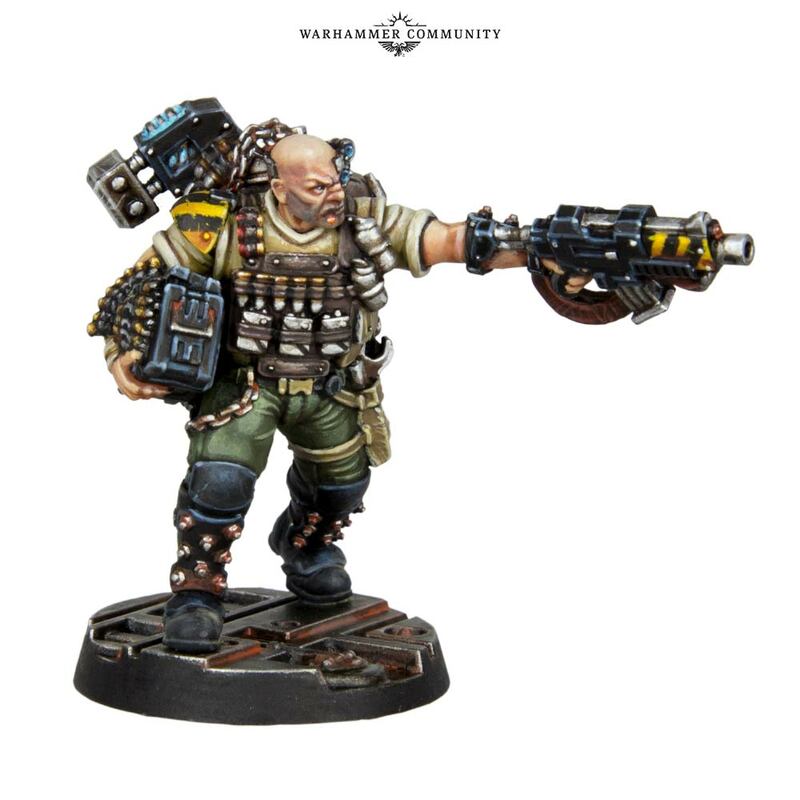 Necromunda fans can look forward to a host of models that let them bring their gangs to life in more detail than ever before. 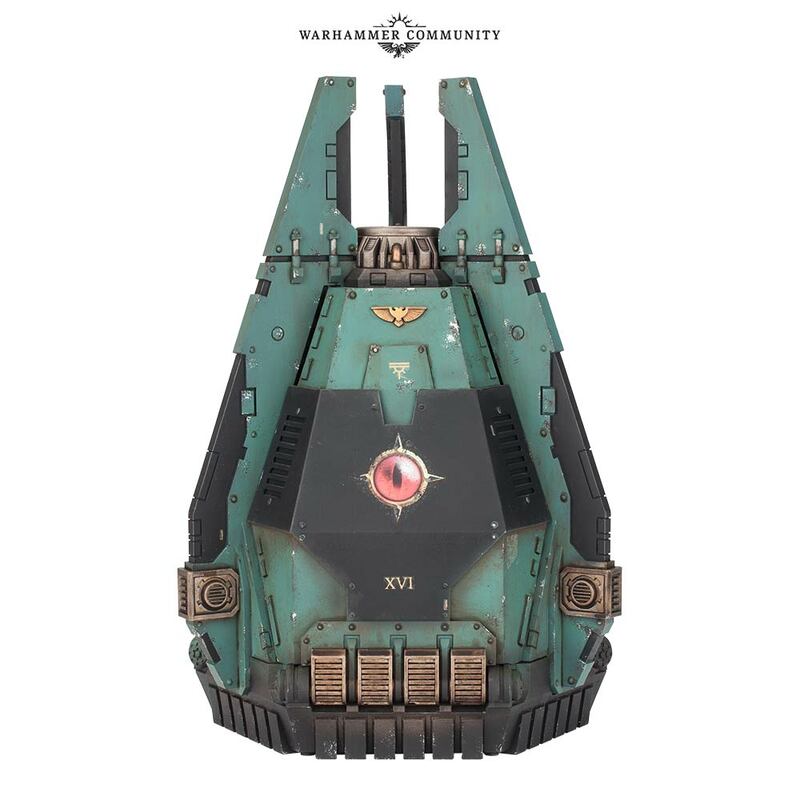 While, of course, you’re welcome to convert your own Hangers-on, the new models should make adding them to your gang simple. Last, and least only in terms of height, we’re incredibly excited to reveal another Squat! What a time to be a hobbyist, eh? Ragnir Gunnstein is an Ammo-jack, and a must-have if you’ve already got Grendl Grendlsen! Schlecht gegosse Resin Teile für AT muss nicht sein! Plastik und per GW-Schop gerne aber nicht von FW. 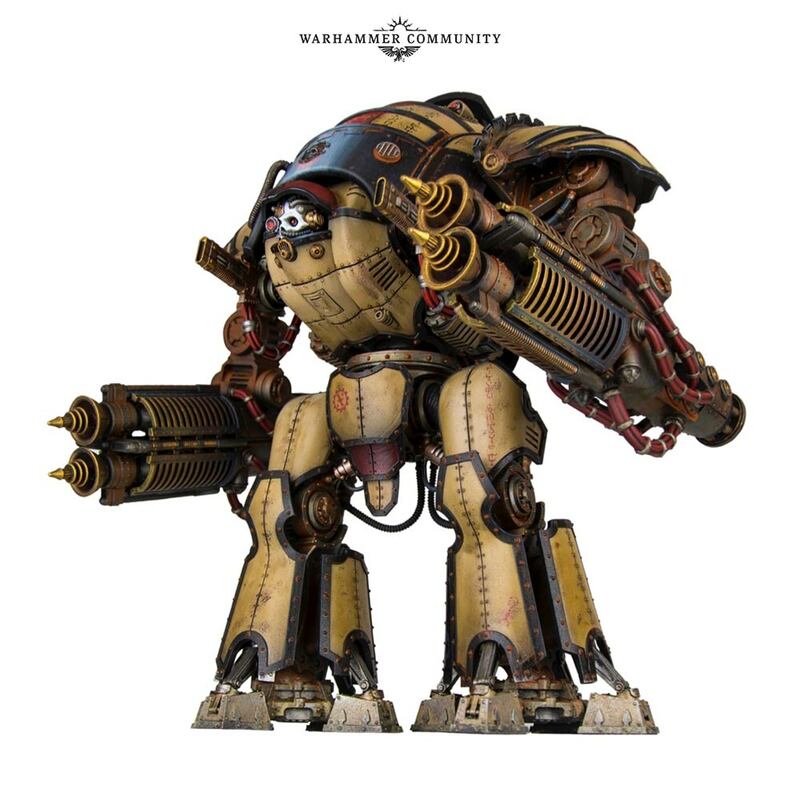 Die Spitzdächer für Titanicus sind super. Da werde ich einige brauchen! Die Sachen für Titanicus sind nett. 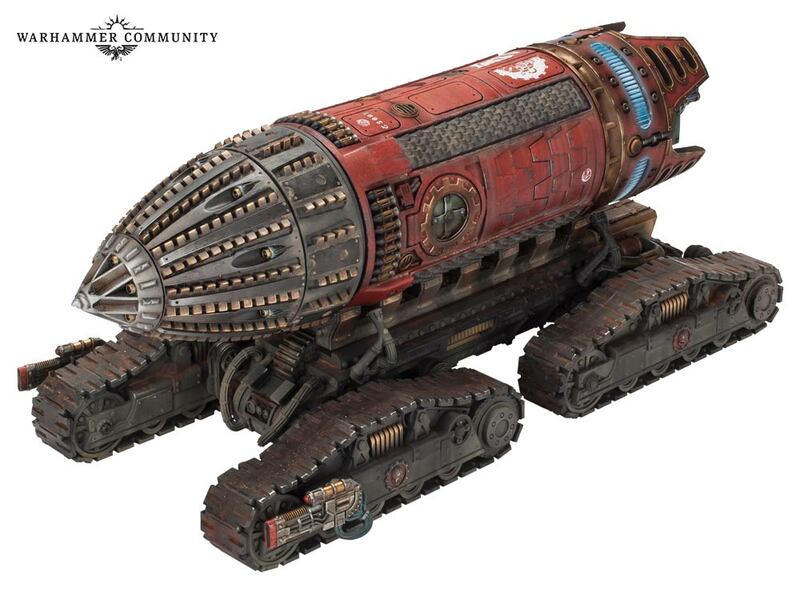 Mit der Gatling Kanone für den Warlord haben wir endlich alle Waffen des alten Epic 40k Warlord zusammen. Und auch der Vulkan Megabolter für den Reaver dürfte ein sehr begehrter Einkauf werden. 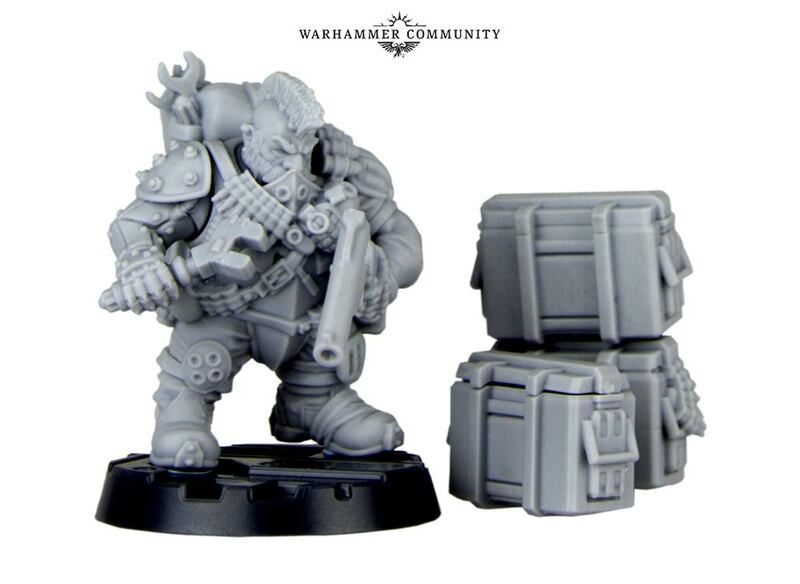 Auch schön, dass die Warmaster-Box noch einmal neu aufgelegt wird – und dass man bald alle Waffengussrahmen wird einzeln kaufen können. Persönlich mag ich die neuen Gebäudeteile aber nicht so. Sie wollen mir nicht so recht zu den bisherigen Plastik-Gebäuden für Titanicus passen. So gefällt mir Sanguinius schon besser. In dem Kontext macht das Modell schon mehr her. Auch wenn ich persönlich die Primarchen in etwas ruhigerer Pose besser finde. Corax war mir auch zu statisch. Und als alter Raven Guard Spieler ist sowas schade. Also ich hatte viel Speerkampf-Training und sehe da kein Problem. Da bin ich zwiegespalten. Die Haltung ist sicher die Richtige für die meisten Szenen, aber ich frage mich, wie er so beim Stoß schräg nach links unten genug Kraft aufbringen will (der Unterarm ist da schon bis zum Maximum verdreht). Jedenfalls hätte er mit umgekehrtem Griff mehr davon. @ Eversor: Da wirst du sicher Recht haben bzgl. Haltung und einfacher Waffenwechsel. 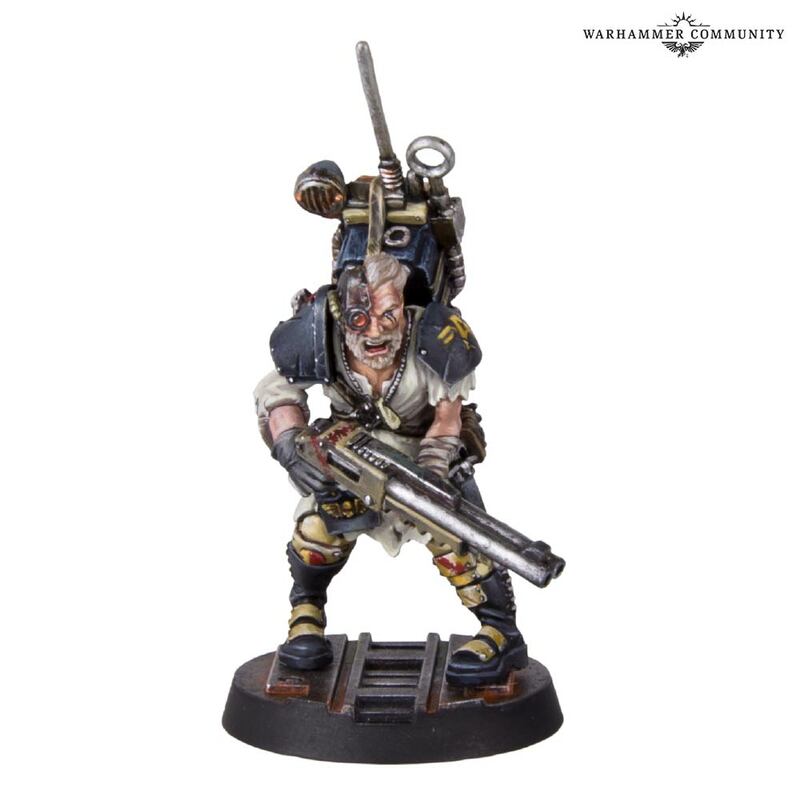 Ja, die Necromunda-Sachen sind wieder wunderbar!! !